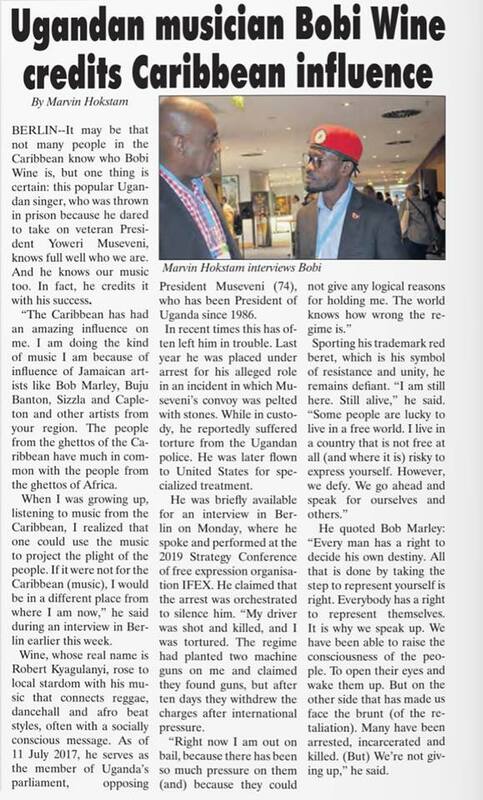 BERLIN — It may be that not many people in the Caribbean know who Bobi Wine is, but one thing is certain: this popular Ugandan singer who was thrown in prison because he dared to take on veteran President Yoweri Museveni, knows full well who we are. And he knows our music too. In fact, he credits it with his success. “The Caribbean has had an amazing influence on me. I am doing the kind of music I am because of the influence of Jamaican artists like Bob Marley, Buju Banton, Sizzla and Capleton and other artists from your region. The people from the ghettos of the Caribbean have much in common with the people from the ghettos of Africa. When I was growing up, listening to music from the Caribbean, I realized that one could use the music to project the plight of the people. If it was not for the Caribbean (music), I would be in a different place from where I am now,” he said during an interview in Berlin earlier this week. 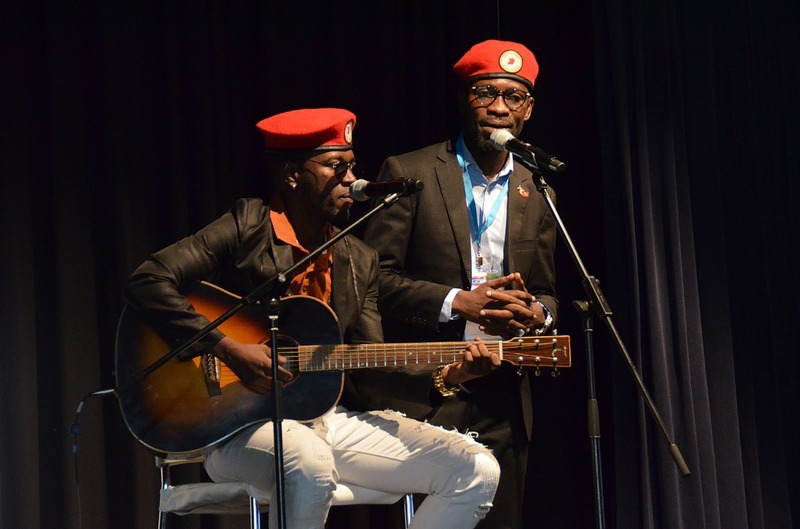 Wine, whose real name is Robert Kyagulanyi, rose to local stardom with his music that connects reggae, dancehall, and afrobeat styles, often with a socially conscious message. As of 11 July 2017, he serves as the member of Uganda’s parliament, opposing President Museveni (74), who has been President of Uganda since 1986. In recent times this has often left him in trouble. Last year he was placed under arrest for his alleged role in an incident in which Museveni’s convoy was pelted with stones. While in custody, he reportedly suffered torture from the Ugandan police. He was later flown to United States for specialized treatment. He quoted Bob Marley: “Every man has a right to decide his own destiny’ All that is done by taking the step to represent yourself is right. Everybody has a right to represent themselves. It is why we speak up. We have been able to raise the consciousness of the people. To open their eyes and wake them up. But on the other side that has made us face the brunt (of the retaliation). Many have been arrested, incarcerated and killed. (But) We’re not giving up,” he said.